Considering the appointment of a durable power of attorney, which may avoid the need for a guardianship or conservatorship if your loved one becomes unable to manage their finances. Kiplinger also recommends using EverSafe to monitor accounts more efficiently and receive alerts when suspicious activity does occur. A timely article in Forbes outlines advice from EverSafe’s Liz Loewy on strategies for dealing with fallout from the recent Equifax data breach. Loewy reminds consumers that applying for a Credit Freeze, which should be filed at all three credit bureaus, is a generally a more restrictive option than initiating a Fraud Alert with the bureaus. With an alert, which lasts for 90 days (unless renewed), businesses issuing credit must take steps to verify the customer’s detect issues that the human eye may miss. Many Americans continue to struggle with the aftermath of the Equifax breach. A recent Washington Post article advised readers to take the important step of creating a “my Social Security” account as soon as possible so that scammers don’t create a phony account first. One indicator that your information has been compromised is if you encounter issues creating that account. This may mean that a scammer has already used your personal information to apply for retirement or Medicare benefits in your name. The author suggests looking for additional protection tips by visiting StaySafeOnline.org. As reports of financial exploitation and scams continue to spread across the nation, new legislation will improve law enforcement efforts against criminals who target older adults. This bill, created by Senate Judiciary Committee Chairman Chuck Grassley (R-Iowa), was recently approved by lawmakers and is now awaiting the President’s signature. Once signed, the law will require that each federal district have at least one assistant U.S. attorney assigned to oversee cases involving elder abuse, and the Justice Department will be required to train FBI agents with respect to issues facing older victims. Criminals would also face enhanced penalties for telemarketing and email scams directed against seniors. Additional legislation to keep an eye on is H.R. 3885, the Senior Citizen Protection Act of 2017, which was introduced at the end of September. This bill would create an elder abuse registry and provide funding to states for operating their own such list. 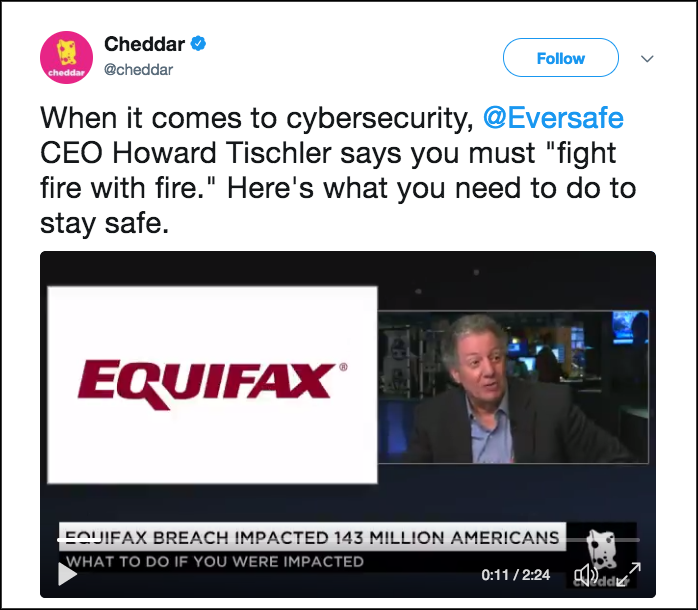 During an interview on the live news network Cheddar, EverSafe CEO Howard Tischler informed the audience that over 1,000 data breaches, in addition to the Equifax hack, have occurred this year alone. To fight against criminals who use technology to hack into systems with personal data, Tischler advises consumers to use technology, like EverSafe monitoring, to protect themselves. According to a piece in the New Yorker, “In the United States, a million and a half adults are under the care of guardians, either family members or professionals, who control some two hundred and seventy-three billion dollars in assets.”Unfortunately, current laws relating to guardianship and conservatorship fall short in serving adults who need the most protection. Without a comprehensive compilation of data on the issue of guardianship exploitation, those who are most vulnerable remain at risk in the system. 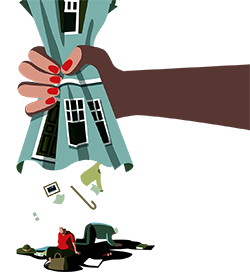 There are a number of initiatives focused on protecting incapacitated persons, including the founding of the national organization Americans Against Abusive Probate Guardianship, which is a small but important step toward shedding light on this pervasive issue. Look at the IDTheftCenter.org website for more protection information. Type “deceased” into the search box on that website. Bogus coupons come from seemingly reputable organizations like Home Depot or Sears. The user will then be asked to share the coupon with friends and directed to fill out a survey that requests sensitive personal information. Preventing elder financial abuse often requires a team effort. Continue to educate older loved ones about social media scams to keep them connected – but protected.